Moringa health benefits are tantalizing. Traditional cultures in various parts of the world have long used Moringa in their herbal medicine repertoire for ailments ranging from gout to various inflammations and fevers. Some of the remedies are described here but there is no guarantee they will work for every case! • To stop bleeding from a shallow cut, apply a poultice of fresh leaves. • There is an anti-bacterial and anti-inflammatory effect when applied to wounds or insect bites. • Leaf tea treats gastric ulcers and diarrhea. • Eating Moringa food products is good for those suffering from malnutrition due to the high protein and fiber content. * Dried Moringa leaves treat diarrhea in Malawi, Africa. * The powder ground from the seeds is also used in the treatment of scurvy skin diseases (common bacterial infections of the skin). • Flower juice improves the quality and flow of mothers’ milk when breast feeding. • Flower juice is useful for urinary problems as it encourages urination. 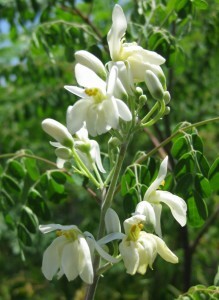 * In Haiti, villagers boil Moringa flowers in water and drink the tea as a powerful cold remedy. 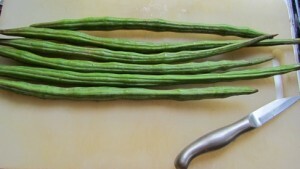 • If eaten raw, pods act as a de-wormer and treat liver and spleen problems and pains of the joints. • Due to high protein and fiber content they can play a useful part in treating malnutrition and diarrhea. Moringa seeds are effective against skin-infecting bacteria Staphylococcus aurous and Pseudomonas aeruginosa. They contain the potent antibiotic and fungicide terygospermin. • The roots and the bark have all of the properties described above but are more concentrated. Therefore much more care should be taken if using them as medicines. * The roots and bark are used for cardiac and circulatory problems, as a tonic and for inflammation. The bark is an appetizer and digestive. * The alkaloid spirachin (a nerve paralysant) has been found in the roots. * The gum is diuretic, astringent and abortifacient and is used against asthma. * Oil of Ben is used for hysteria, scurvy, prostate problems and bladder troubles. 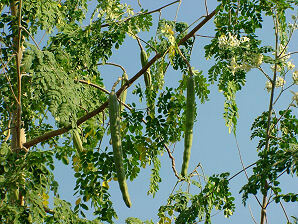 * Villagers in Oman use Moringa oil to treat stomach disorders. They also use it in perfume and hair oil. Uses every part of the Moringa Tree and considers it one of the most valuable and useful plants. The ayurvedic medicine of India has many uses for Moringa Tree products, such as a natural antibiotic, an aid in childbirth, for treating liver disorders, and many other uses. In Siddha medicine says that the leaves are full of medicinal properties. The drumstick seeds are used as a sexual virility drug for treating erectile dysfunction in men and also in women for prolonging sexual activity. 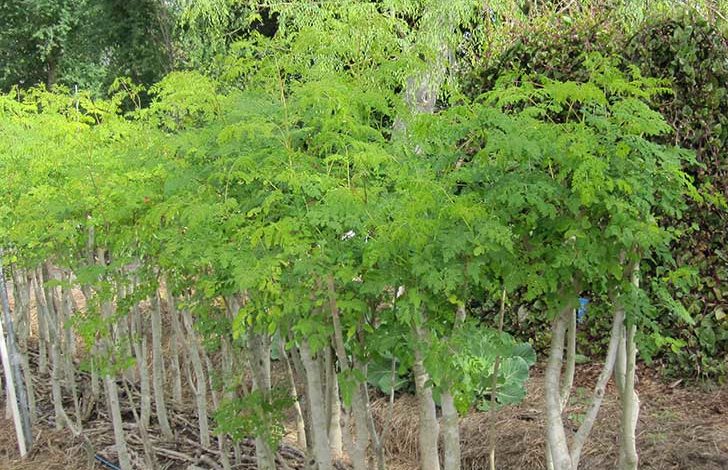 Moringa Oleifera is a small size tree with approximately 5 to 10 m height. It is cultivated all over the world due to its multiple utilities. Every part of Moringa is used for certain nutritional and/or medicinal propose. Besides being a good source of protein, vitamins, oils, fatty acids, micro-macro minerals elements and various phenolics, it is also reported as anti-inflammatory, antimicrobial, antioxidant, anticancer, cardiovascular, hepatoprotective, anti-ulcer, diuretic, antiurolithiatic, and antihelmintic. Its multiple pharmaceutical effects are capitalized as therapeutic remedy for various diseases in traditional medicinal system. Further research on this charismatic healer may lead to the development of novel agents for various diseases. This study provides a brief overview about medicinal potential of Moringa and its future as a component of modern medicinal system. This study concludes that Moringa needs legitimate appraisal to establish its pharmaceutical knack in modern medicine. Moringa has enormous medicinal potential, which has long been recognized in the Ayurvedic and Unani system (Mughal et al., 1999). Nearly every part of this plant, including root, bark, gum, leaf, fruit (pods), flowers, seed, and seed oil have been used for various ailments in the indigenous medicine (Odebiyi and Sofowora, 1999), but recent research is also indicating about several active constituents for accepting its applicability in modern medicine. 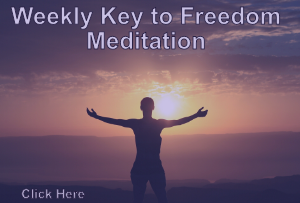 Few representatives of these are discussed in this article. Antimicrobial components of Moringa have been validated after the discovery of inhibitory activity against several microorganisms. In a recent study, aqueous extracts of Moringa was found to be inhibitory against many pathogenic bacteria, including Staphylococcus aureus, Bacillus subtilis, Escherichia coli, and Pseudomonas aeruginosa in dose dependent manner (Saadabi and Abu Zaid, 2011). 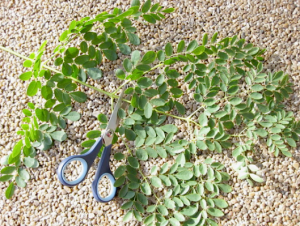 Moringa extracts was also found to be inhibitory against Mycobacterium phlei and B. subtilis (Eilert et al., 1981). Leaf extract of Moringa was found to be effective in checking growth of fungi Basidiobolus haptosporus and Basidiobolus ranarums (Nwosu and Okafor, 1995). Another study involving aqueous methanolic extract and fixed oil against microorganisms was performed using Scenedesmus obliquus (green algae), E. coli ATCC 13706, P. aeruginosa ATCC10145, S. aureus NAMRU 3 25923, Bacillus stearothermophilus (bacterial strains) and Herpes Simplex virus type 1 (HSV 1) and Polio virus type 1 (Sabin vaccine). Varying degree of antimicrobial activity was observed ranging from sensitive for B. stearothermophilus to resistant for P. aeruginosa (Ali et al., 2004). Beside antibacterial activity of Moringa oils, it also posses anti-fungal activity (Chuang et al., 2007). Study comparing relative antimicrobial activity of seed extracts against bacteria (Pasturella multocida, E. coli, B. subtilis and S. aureus) and fungi (Fusarium solani and Rhizopus solani) revealed that P. multocida and B. subtilis were the most sensitive strains, and their activity was influenced by cations (Na, K, Mg and Ca2+) (Jabeen et al., 2008). Another relative comparison of antibacterial and antifungal efficacy of Moringa steam distillate observed more inhibition for E. coli followed by S. aureus, Klebsiella pneumoniae, P. aeruginosa and B. subtilis. In case of fungi, Aspergillus niger was strongly inhibited followed by Aspergillus oryzae, Aspergillus terreus and Aspergillus nidulans (Prashith Kekuda et al., 2010). Contrary to resistance against P. aeruginosa and Candida albicans for Moringa in other studies, one study using ethanolic extract of leaves, seeds and flowers showed the antimicrobial activity against E. coli, K. pneumoniae, Enterobacter species, Proteus mirabilis, P. aeruginosa, Salmonella typhi A, S. aureus, Streptococcus and Candida albicans(Nepolean et al., 2009). Moringa contains pterygospermin (originally found in Moringa pterygosperma) which has powerful antibacterial and fungicidal effects (Rao et al., 1946). Several other specific components of Moringa have been reported with antibacterial activity, including 4- (4′-O-acetyl-a-L-rhamnopyranosyloxy) benzyl isothiocyanate, 4-(a-L-rhamnopyranosyloxy) benzyl isothiocyanate, niazimicin, benzyl isothiocyanate, and 4- (a-L-rhamnopyranosyloxy) benzyl glucosinolate (Fahey, 2005). Other bioactive compounds, such as Spirochin and Anthonine are found in root and are active against several bacteria. Anthonine has potent inhibitory activity against Vibrio cholerae (Nwosu and Okafor, 1995). Moringa flower and leaves are also capable of controlling parasitic worms; their antihelmintic activity has been demonstrated during several studies (Bhattacharya et al., 1982). Moreover, it has also been reported to inhibit Indian earthworm Pheritima posthuma with MO leaves ethanolic extracts (Rastogi et al., 2009). Moringa plant parts have substantial anti-inflammatory activity. For instance, the root extract exhibits significant anti-inflammatory activity in carrageenan induced rat paw oedema (Ezeamuzie et al., 1996; Khare et al., 1997). The crude methanol extract of the root inhibits carrageenan- induced rat paw oedema in a dose dependent manner after oral administration (Anonymous, 2005). Moreover, n-butanol extract of the seeds of Moringa shows anti- inflammatory activity against ovalbumin-induced airway inflammation in guinea pigs (Mahajan et al., 2009). Amelioration of inflammation associated chronic diseases can be possible with the potent anti-inflammatory activity of Moringa bioactive compounds (Muangnoi et al., 2011). Considering potent anti-inflammatory activity of Moringa plant, it can be surmised that this plant shows profound influence on inflammation associated diseases and resultant symptoms. As a consequence, this plant shows beneficial effects on asthma, pain, and other resultant symptoms. It has been reported a long time ago that Moringa plant alkaloid closely resembles ephedrine in action and can be used for the treatment of asthma. Alkaloid moringine relaxes bronchioles (Kirtikar and Basu, 1975). The seed kernels of Moringa also showed promising effect in the treatment of bronchial asthma, during a study to analyze efficacy and safety of seed kernels for the management of asthmatic patients. The study showed significant decrease in the severity of asthma symptoms and also concurrent respiratory functions improvement (Agrawal and Mehta, 2008). The analgesic activity of Moringa has been reported in several Moringa species. In a study using ethanolic extracts of Moringa concanensis tender pod-like fruits in experimental animals, a significant analgesic activity was observed (Rao et al., 2008). Furthermore, alcoholic extract of the leaves and seeds of Moringa also possess marked analgesic activity as evidenced through hot plate and tail immersion method (Sutar et al., 2008). As a result of anti-inflammatory action of Moringa bioactive constituents, the antipyretic activity can be hypothesized. A study was designed to assess antipyretic effect of ethanol, petroleum ether, solvent ether and ethyl acetate extracts of Moringa seeds using yeast induced hyperpyrexia method. Paracetamol was used as control during the study. Not surprisingly, ethanol and ethyl acetate extracts of seeds showed significant antipyretic activity in rats (Hukkeri et al., 2006). Moringa leaves contain several bio active compounds, they exert direct effect on blood pressure, and thus these can be used for stabilizing blood pressure. Moringa compounds leading to blood pressure lowering effect includes nitrile, mustard oil glycosides and thiocarbamate glycosides present in Moringa leaves (Anwar et al., 2007). In addition, diuretic activity of Moringa exists in its roots, leaves, flowers, gum and the aqueous infusion of seeds (Morton, 1991). Moreover, Moringa leaves also contain bioactive phytoconstituent, (that is, b-sitosterol) with cholesterol lowering effect. This compound is capable to reduce cholesterol level from the serum of high fat diet fed rats (Ghasi et al., 2000). Several medicinal plants have been evaluated for their potential as therapeutic agent for diabetes. Moringa is also an important component in this category. Moringa leaves significantly decrease blood glucose concentration in Wistar rats and Goto-Kakizaki (GK) rats, modeled type 2 diabetes (Ndong et al., 2007). Another study indicated that the extract from Moringa leaf is effective in lowering blood sugar levels within 3 h after ingestion (Mittal et al., 2007). As a mechanistic model for antidiabetic activity of Moringa, it has been indicated that dark chocolate polyphenols (Grassi et al., 2005) and other polyphenols (Al-Awwadi et al., 2004; Moharram et al., 2003) are responsible for hypoglycemic activity. Moringa leaves are potent source of polyphenols, including quercetin-3- glycoside, rutin, kaempferol glycosides, and other polyphenols (Ndong et al., 2007). Thus, potential anti- diabetic activity of Moringa can be commercialized through the development of suitable technology with achieving anti-diabetic activity up to conventional drugs. Moringa is a rich source of antioxidant (Chumark et al., 2008). It has been reported that aqueous extracts of leaf, fruit and seed of Moringa act as an antioxidant (Singh et al., 2009). During a study reporting antioxidant property of freeze dried Moringa leaves from different extraction procedures, it was found that methanol and ethanol extracts of Indian origin Moringa have the highest antioxidant activity with 65.1 and 66.8%, respectively (Lalas and Tsaknis, 2002; Siddhuraju and Becker, 2003). It was also reported that the major bioactive compounds of phenolics, such as quercetin and kaempferol are responsible for antioxidant activity (Bajpai et al., 2005; Siddhuraju and Becker, 2003). During another study, quercetin and kaempferol have shown good antioxidant activity on hepatocyte growth factor (HGF) induced Met phosphorylation with IC 50 value for 12 and ~6 µM/L, respectively (Labbe et al., 2009). Another recent study comparing palm oil with Moringa seeds for their antioxidant potential found out that Moringa seed are superiors for radical scavenging (Ogbunugafor et al., 2011). Moringa has shown significant hepatoprotective activity in several studies. Moringa leaves ethanolic extracts showed significant protection against liver damage induced by antitubercular drugs [isoniazid (INH), rifampicin (RMP), and pyrazinamide (PZA)] in rats. It was found that hepatoprotective activity of Moringa is medicated by its effect on the levels of glutamic oxaloacetic transaminase (aspartate aminotransferase), glutamic pyruvic transaminase (alanine aminotransferase), alkaline phosphatase, and bilirubin in the serum; lipids, and lipid peroxidation levels in liver (Pari and Kumar, 2002). Moreover, methanolic and chloroform extracts of Moringa leaves also showed significant protection against CCl 4 induced liver damage in albino rats. Besides hepatoprotective activity of Moringa leaves, its root and flowers also possess strong hepatoprotective activity. Moringa flowers contain a well recognized flavonoid (Quercetin), which may be responsible for its potent hepatoprotective activity (Ruckmani et al., 1998; Selvakumar and Natarajan, 2008). In a recent study evaluating the effect of Moringa seed extract on liver fibrosis, it was found that Moringa seed extract has the ability to subside liver fibrosis. This study involved CCl 4 induced liver fibrosis and concurrent administration of Moringa seed extract. Moringa seed extract control the elevation of serum aminotransferase activities and globulin level induced by CCl 4. Moreover, immunohistochemical studies also showed that Moringa reduces liver fibrosis (Hamza, 2010). Moringa has been found as a potent anticancer plant and several bioactive compounds with significant antitumor activity have been discovered from Moringa. Among bioactive compounds from Moringa, niazimicin, a Moringa leaves thiocarbamate was found to have potent anticancer activity (Guevaraa et al., 1999). Furthermore, niazimicin also shows the inhibition of tumor promoter teleocidin B- 4-induced Epstein-Barr virus (EBV) activation (Murakami et al., 1998). Another study involving 11 plants used in Bangladeshi folk medicine, Moringa was considered as potential source of anticancer compounds. During this study, the plant extract were analyzed for cytotoxicity through brine shrimp lethality assay, sea urchin eggs assay, hemolysis assay and MTT assay using tumor cell lines. The study also indicated the potential cytotoxic effects of Moringa leaf extract on human multiple myeloma cell lines (Costa-Lotufo et al., 2005; Parvathy and Umamaheshwari, 2007). 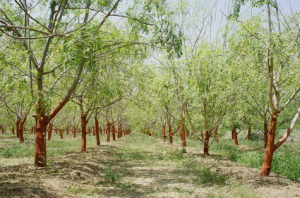 Beside leaves, Moringa seed extracts also have anticancer activity through its effects on hepatic carcinogen metabolizing enzymes, and antioxidant property (Bharali et al., 2003). Moringa plant also has pertinent antifertility activity. The aqueous extract obtained from root and bark of Moringa showed post-coital antifertility effect in rat and also induced foetal resorption at late pregnancy (Prakash et al., 1987). Moreover, aqueous extract of Moringa roots was also evaluated for estrogenic, anti-estrogenic, pro- gestational and antiprogestational activities. This extract induces several consequences for affecting its antifertility property (Shukla et al., 1988). During another study analyzing anti reproductive potential of folk medicine plants, Moringa leaf extracts were found to be 100% abortive with doses equivalent to 175 mg/kg of starting dry material (Nath et al., 1992). Moringa root and leaves contain several compounds with spasmolytic activity. These compounds include 4- (alpha- L-rhamnosyloxybenzyl)-o-methyl thiocarbamate which is possibly affected through calcium channel blockade, niazinin A, niazinin B, niazimicin, etc., with hypotensive and bradycardiac effect. The spasmolytic activity of different constituents support for traditional uses of this plant in gastrointestinal motility disorder (Gilani et al., 1994). Moringa methanolic extract is also capable in protecting experimental rats from gastric lesions induced by acetylsalicylic acid, serotonin and indomethacin. In addition, it also enhances healing process of chronic gastric lesions induced by acetic acid in experimental animals (Pal et al., 1995). Another study has reported the antiulcer effect of Moringa leaves aqueous extract on adult Holtzman albino rats (Debnath and Guha, 2007). Vitamin A deficiency is a major cause of blindness, which ranges from impaired dark adaptation to night blindness. Consumption of Moringa leaves, and pods and leaf powder which contain high proportion of vitamin A can help to prevent night blindness and eye problems in children. 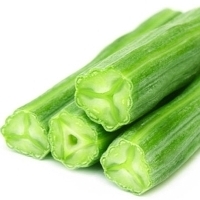 Ingesting drumstick leaves with oils can improve vitamin A nutrition and can delay the development of cataract (Pullakhandam and Failla, 2007). In fact the use of Moringa as a supplementary food was highly accepted for integrated child development scheme supplementary food (ICDS-SFP) for its potential as vitamin A source (Nambiar et al., 2003). 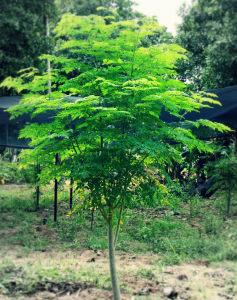 Medicinal potential of Moringa is enormous and difficult to cover in a single article, despite this current article provided glimpses of Moringa applications for performing appraisal of this promising nutrition and medicinal plant. Although, many bioactive compounds have been discovered from Moringa, still the knowledge is in infancy, in term of its total reserve. Perhaps, future rigorous studies directed towards the detection, and commercialization of Moringa bioactive compounds can lead to the development of remedies for several ailments. Thus, it can also prove the validity of traditional utility of Moringa in various folklores. School of Studies in Botany, Jiwaji University, Gwalior-474001 (MP), India. Life Science Department, Vijayaraje Institute of Science and Management, Turari, NH 75, Gwalior (MP), India. Department of Pharmaceutics, College of Pharmacy, P. O. Box 2457, King Saud University, Riyadh 11451, Saudi Arabia. School of Studies in Biotechnology, Jiwaji University, Gwalior-474001 (MP), India. Make sure the plant lives in a minimum warm temperature. Mine died by the cold.